Thailand is an amazing country that is well-known as one of the best places to visit in the world. 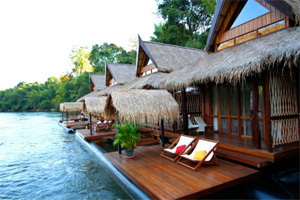 Travelers have been visited many tourist attractions such as Bangkok, Phuket, Phi Phi islands. However, there are much more places and activities that still be unseen and ready to explore. We are proudly to present our unique vacation trip that combines Thai massage training course with local tour where you can experience authentic Thai life style. If you are looking for a very local and educational trip that offer Thai massage training, our trip is the best choice for you! Why you should join our trip? You will learn very authentic Thai massage which we carefully selected the best for you. All the programs are designed by local Thai people with local experiences. We make sure that you will experience local cultures, food, and have fun with local attractions. You will get many good and memorable experiences. After complete the Thai massage training, you can perform comprehensive Thai massage and also massage to the ones you love. You will enjoy learning how to cook authentic Thai food with Thai taste.